Reedsburg, WI – Vierbicher welcomes Michala R. Feigal to the company’s Reedsburg office. Feigal joins our firm as a Water Resources Specialist with experience in aquatic ecosystem evaluation, soil classification and inventory, Surface Water Integrated Monitoring (SWIMS), GIS and GPS systems, and hydrology analysis. 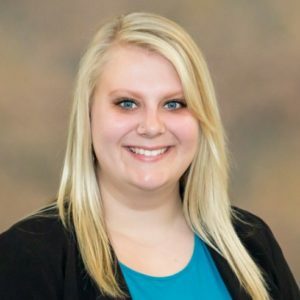 Michala graduated from the University of Wisconsin – Stevens Point with a Bachelor’s degree in Water Resources in 2018.